The Family Engagement Institute is a powerful opportunity for parent leaders, school and district teams, and community partners to connect and build stronger family engagement practices across the Road Map Project region. 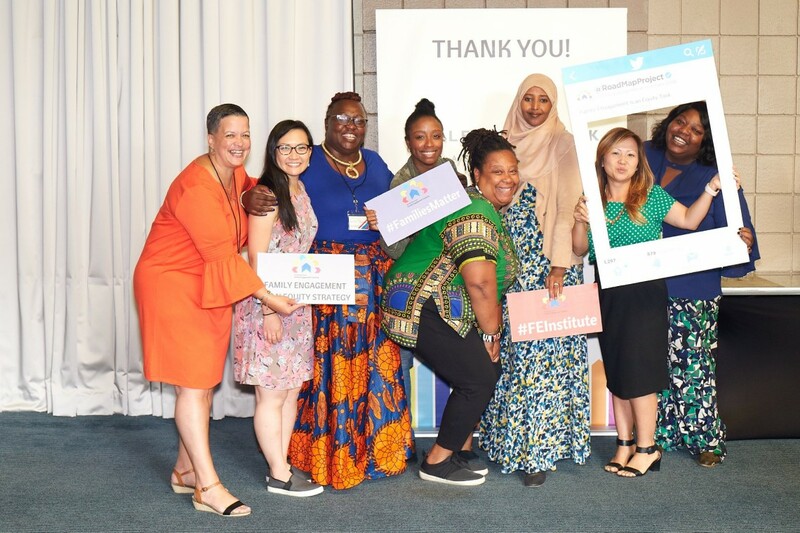 The 2018 Family Engagement Institute featured evidence-based strategies, programs, and collaborations to improve student success and advance racial equity in our region. Dr. Keisha Scarlett of Seattle Public Schools presented on how family engagement is an equity strategy, Dr. Maria Paredes shared the Academic Parent Teacher Team model for more effective family-school collaboration, and the Washoe County School District shared their best practices and lessons learned on building relationships between families and schools. The Road Map Project Parent Leadership Team, comprised of parents from all seven Road Map districts, presented the communications and advocacy plan they created based on meaningful community conversations. The institute was also a space for school building teams to create more systematic plans to improve family engagement practices. See photos from the 2018 Family Engagement Institute on Facebook.